Usually, all dehydrated foods can store for around 3 to 6 months without excessively extra care. Such type of foods recognized as "shelf-stable" which means that there will be no change in the quality as well as the nutrient levels of the food after storing. If you save them wisely, then this might increase their shelf life. First of all, let’s get familiar with the factors which influence the quality of the stored dried food then, we will tell you about the method of storing the dried food judiciously for better results. Storing dried food can only last for a longer period if it has the cooler as well as more stable temperature. Such temperature does not allow the formation of the mold spores and their reproduction. For dehydrated foods, usually room temperature (65 degrees F to 72 degrees F) is adequate to get a shelf life of more than 20 years. The Basement of House, Cellar, Lower Level of a House, Closet Space or Kitchen Cabinets. Attic, the upper floor of a multi-level house, in a vehicle or top floor crawl space. The life and the quality of the store dried food can also increase if you minimize the amount of light which is getting towards the food. The reason behind this fact is that the mold bacteria like to reproduce in the light, but the dark and the reflective containers do not let them grow. The glass, opaque, transparent and plastic containers do allow the light to pass through them. Dark Underground Room or Basement, a Crawlspace or in the Rear of an Infrequently Used Storeroom or Closet. Nearby a window, in a regularly used cupboard or closet. Moisture is one of the major factors which affect the storage of the dry foods. When you dry the food, the moisture gets reduced, and this does not allow the mold or any other organisms to reproduce. Thus, you should store your food which is away from the formation of the moisture. Places with Good Air Flow, Location with Little Moisture and on Shelves of a Store. Nearby a bathroom, straight on a concrete floor, under the sink, adjacent to any water piping or in a fenced room without any air flow. If your food gets dispose-off to the oxygen then, the dried food will get spoil due to the formation of the spores. You will find oxygen everywhere in your home but the best way to get rid of it to use the airtight containers. So as to remove the oxygen that might endure inside the container after sealing, you can insert the gas such as nitrogen for flushing out and substitute the oxygen, or you can also put an oxygen absorber in the airtight container. Airtight Containers, Mylar Bags. Lidded Bins, or Canned Jars. Loose lid jars, non-vacuum bags or open containers which expose to the oxygen. The Mason jars are great containers for storing the dried food for the daily or the weekly use. You can easily screw off the lid of the mason jars instead of cutting the top seal of the vacuum-sealed bag. These jars can be directly stored in your kitchen cabinets so that you can use the dried food at any time for making any delicious recipes. It will be very beneficial if you use the oxygen absorbers along with the Mason jars. It is a stress-free method to remove any unwanted oxygen from the jars. 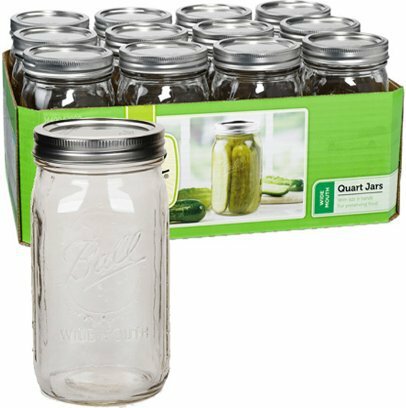 For example, in the quart-size Mason jars a 100cc oxygen absorber is sufficient, and for the smaller pint-size Mason jars, a 50cc oxygen absorber is adequate. 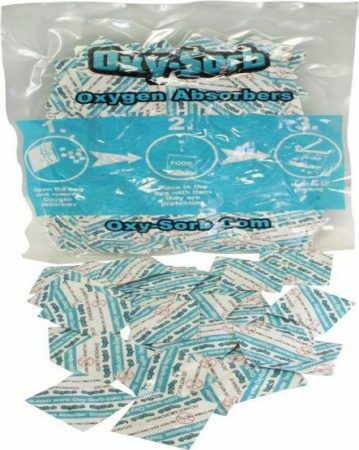 The usage of the oxygen absorbers is just like you do in the vacuum-sealed pouches. Mylar bags are an alternative to the Mason jars which mainly designed for the long-term storage accompanied by the oxygen absorbers. These bags mostly used in the food industry which utilizes them for packaging the different food products. Mylar bags are rip-proof, waterproof and reflective which do not allow the light to get the food. Mylar bags can be seal airtight once you heated them and pushed together. 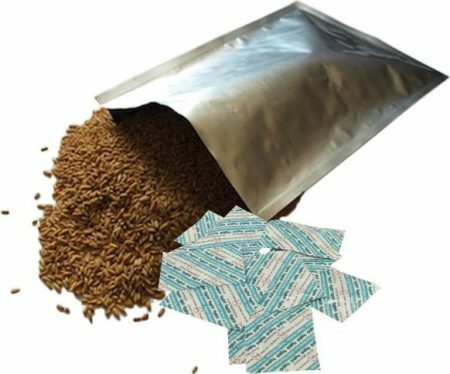 As soon as you combine the sealed Mylar bag along with an oxygen absorber, then such environment becomes perfect for long term food storage. You should remember to keep the food at a constant and cool temperature and do not overfill the bag with the pouches so that your bag does not get punctured. The usage of the lidded plastic bins work amazingly for storing the pouches of vacuum-sealed foods which confined in the Mylar bags. This type of plastic container can call "airtight" if you insert a 2,000 CC oxygen absorber before putting on the lid. However, these bins are not airtight, and you can make them oxygen-free with the help of the absorbers machine. Now you must be thinking then why we are recommending you to use these bins? Well! These containers work remarkably for storing the dried food for long term storage. You can keep your Mylar bags in them safely. The feed buckets with lids are certainly air-tight in which you can use the 2,000cc oxygen absorbers along with your Mylar-seized pouches. It is not necessary that you use Mylar bags in these buckets for storing the dried food. But if you use them, then that will keep your food organized and segregated. 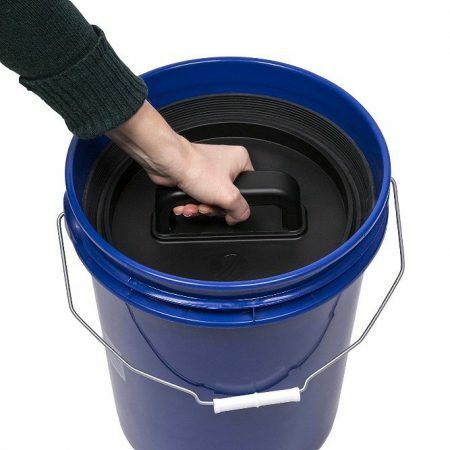 The buckets with lids keep your food safe from bugs and insects also. Dried foods can be contaminated or become moist. As a result, they need to be stored well. Cooling the food is the first important step. Warm food causes sweating. This provides enough water content for bacteria and mold to thrive. While fruits and vegetables that are dehydrated can be stored at room temperature for a few hours, jerky is a different matter altogether. Packing food in amounts that will be used in recipes differently is important. For example, you may use tarragon a lot and fennel seed not at all. So, it is essential to engage in need based storage of different foods. Herbs and spices tend to lose their potency once a certain period of time elapses as opposed to dried fruits which have a longer shelf life. Packing food in amounts to be used in the recipe safeguards your foods from being spoiled or contamination. Fruit that are dried using sulfur should not touch a metal because sulfur fumes can interact with the metal and cause changes in the color. Dried food should be stored in cool, dark place for best results, Recommended storage times for dried foods range from 4 months to about 1 year. As food quality is impacted by heat, storage temperature can assess the length of storage. Dried fruits can be stored for a year at 60 degree F while dehydrated vegetables have a shelf life of 6 months as opposed to fruits. Foods that are bone dry can become spoiled if moisture is absorbed at the time of storage. You need to check the food frequently to ensure they are dry. Glass containers are perfect for storing as the moisture collecting on the inside can be seen quite easily. The food affected by moisture should be immediately used or re-dried. Veggies should be dried until brittle or crisp. They can shatter if hit with a hammer. At this stage, they have around 10 percent moisture. As they are dry, they do not need additional conditioning during storage. Learn more about how to pack and store foods here. You should not pack the dried foods for storage till they are totally cool to touch. The air adjacent to the warm dehydrated food has more moisture content that gets released after cooling down. If there are any droplets of water in the storage container, then that will also decrease the shelf life of the dehydrated food. Dehydrated fruits should condition before the storage. You should pack them loosely in jars and shake them once in a day after every ten days. Ate the time of the conditioning period, if you see any condensation, then that means your fruits not completely dried. The dried food must store in the air-tight containers, airtight jars or plastic freezer bags. While using the freezer bags, you remove the entire air from the bag before sealing. The process of Vacuum-sealing provides the best shelf life to the dried food for removing the air and for keeping the moisture and the mold far from the dehydrated food. To store the sulfured fruit in any non-metal containers, you must put it in a plastic bag before inserting inside the metal container. Or else, the sulfur can react with the metal and can yield off-flavors. The dried foods must store in small batches for retaining the freshness and for reducing the danger of contamination. If you open the container regularly, then the exposure to the air can cause mold or formation of bacteria in the food. You should label every single container with the name of the food along with the date of the packaging. It will help you in knowing that which container you need to use earlier. 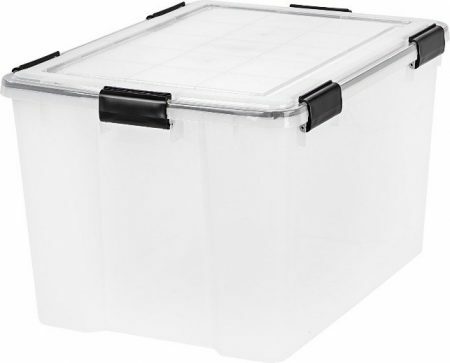 The containers in which you store the dried food need to be placed in the cold, dry and dark location. The best temperature for storing the dried food is 60 degrees Fahrenheit or 15 degrees Celsius. The exposure to light can destroy the dehydrated foods. Thus you should place them far from such exposure. The dehydrated fruits, as well as herbs, can be put in storage for up to 1 year. Dehydrated vegetables and meats can bring into storage for up to 6 months. You can store the dried food in the freezer if you want to use them for a longer period. If you see the condensation one any of the containers of your home-dehydrated food, then it means that needs to be dehydrated again. Always place the older items in the container on the front side so that you can use them earlier than the new one. It benefits in using the high-quality products before. When you are dehydrating food, you need to go beyond just tasty and focus on nutritious foods. Gain personal satisfaction from handling and storing the dehydrated food well. Here are some handy tips for efficient storage of food that has been dried or dehydrated. our food should be fully and completely dry. Why is this essential? Cooling the food is important too. This is because heat and moisture are the twin conditions you need for mold growth. Testing food for dryness? Test using these useful criteria. If you are dehydrating fruits, this special step is extremely important. The conditioning is a process that equalizes the moisture as all fruit pieces may not become equally dried on account of their size or positioning in the dehydrator. Once the dried food is cooled, it needs to be packed in a glass jar loosely. Sealing the jar and letting it sit for about a week should be followed by shaking the jar. The additional moisture of some pieces of the food will be absorbed by other drier pieces. But remember, if you are moisturizing veggies, you do not need conditioning. Once it's fully dry, pack the dehydrated food in dry containers. The containers should also be resistant to moisture and insects. They should be clean. Glass jars, plastic freezer containers or bags and metal cans work equally well. If the container has a tight fitting lid, it would be perfect. This is because every time the container is reopened, the food is exposed to air and moisture causing spoilage and food quality to worsen. Fully check the dehydrated food when storing it, therefore. Higher temperature means less storage time. Bear in mind that dried foods like fruits and fruits, can last for one year at 60 degree but only 6 months at 80 degrees F. Dried veggies have half the shelf life of dehydrated fruits. Beef, mutton, chicken or venison– whatever the jerky is– you need to store the dried jerky in a freezer or fridge for the best results. Dehydrated food will only remain stable for longer durations when stored, if it was chosen in peak quality while being dried. Select ripe, unblemished products with no sign of spoilage or insect damage. Check the product packages purchased from stores for no signs of tampering and also highlight the cleanliness and dryness factor. Cans should be intact too. Make sure that dried cool foods are stored in freezers in dry places, Don't leave dehydrated foods at room temperature for more than a couple of hours. Always check the cleanliness of your hand and the container where the food is stored. Food in fridges should not go below 40 degree F and freezers should be set at 0 degree F for jerky. Check storage times and always use the “first in, first out”method when using stored dried food items. Make sure to label the food which is dehydrated and stored correctly. Labeling the food includes adding its botanical name, date of purchase/dehydration, expiry date and product name. This is especially important if it is an opaque jar. Dried products stay fresh longer than live food. That is a fact. But the shelf life of dehydrated veggies can last up to more than even two years if you store them well. This ensures that your food items remain in cool, dark places. Ideally, the container should be opaque apart from being airtight too. Heat, air and light are the biggest factors in spoiling food. Airtight containers guard against this. While dehydrated veggies are shelf stable and can be stored at room temperature in a cool, dry place, freezing or refrigerating jerky and other sensitive items is a must. Those living in humid conditions should store dried foods in the refrigerator. Air conditioning is essential for storing dried foods for longest time. Microbes that impact food negatively need water to live. Dehydration can prevent the growth of pathogens and guard food from spoiling. Moisture is the critical enemy of dehydrated fruits and veggies. Keep such dehydrated foods away from under sink cabinet, damp basement or a place where their shelf life will be shortened by moisture. Vacuum packing the dried food can increase its shelf life by decreasing oxygen and air it comes into contact with. Special equipment such as vacuum sealers and Mylar bags are needed to vacuum pack veggies. If you want to preserve the freshness of the dried food, then store the opened containers of dehydrated foods in the freezer or refrigerator. Before consuming the dried food, always inspect the quality of the food. In the case of any doubt or if you see any mold, then just discard that food and throw it out. Storing the food offers longer shelf life. You can carry stored dried food on trips or journeys. It helps in maintaining the quality of the dried food. Keep safe from any mold or bacteria. Do not let the food exposed to light, heat, germs and exposure to moisture. Stored food is lightweight to carry. Some of the storing products are expensive to buy. Mylar pouches are inclined to get a puncture. Needs adequate and appropriate space for storing. If any water content left behind in the dried food, then that can spoil the whole food in the jar. You have to check the stored dried food periodically. Sometimes, in the case of any emergency situations like floods or earthquakes, the stored dried food act as a surviving breathe for so many people. You can use them efficiently on long journeys or trips but only if you have stored them properly. Eventually, we just want to say that the method of storing the dried food plays the critical role in the shelf life of the foods. There are some ways through which you can store the dried food, but you have to choose the best method that suits your needs and requirements. In the above article, we have discussed the different ways of storing the dried food along with the useful tips. So, now if you have finished with the dehydration process, then go ahead with the exact storing process of your dried food. Will dehydrated foods last longer if vacuum packed in canning jars? I’m wanting to make some for our food storage. Yes. They last longer if you store properly. You can also check our guide on How Long Does Dehydrated Food Last?. Concerning store bought dehydrated foods. Which I assume are dried correctly. I was going to store dried Banana chips in Mylar with oxygen absorber. What do you think the shelf life would be? You can store around 10 to 15 years with proper storage. Once you open the box, you can store dehydrated banana chips around 6 to 12 months.